Warmer temperatures over the past few days have depleted as much as 50 percent of the snow on the ground, but ice on the Susquehanna River at Tunkhannock is holding fast. A measured thaw is precisely what is needed to bring a long, cold winter to an end in the Endless Mountains. Warm days, including Wednesday’s highs in the mid 50s, have been followed by chilly nights, preventing a rapid meltdown of upwards to a foot of snow cover with a heavy moisture content. Meanwhile, according to numerous experts, billions of gallons of water are trapped in one of the thickest ice packs that even seasoned anglers have witnessed in more than 20 years. 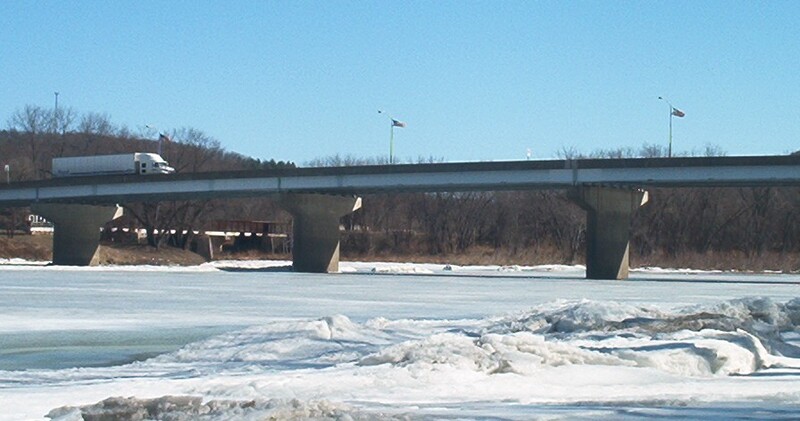 Reports of ice as much as 20 inches thick at Skinners Eddy are common throughout the area. Temperatures well below freezing tonight will help to keep the ice pack in check, but highs in the upper 40s on Friday and Saturday, accompanied by moderately heavy rains this weekend are bound to force the ice to break up and begin moving downriver. 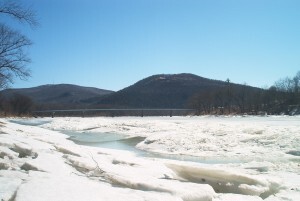 Ice flows are extremely unpredictable, and ice jams can occur with little notice, backing up river water and forcing it over the banks in low-lying areas. Because the river was relatively low when it froze solid, no significant flooding is expected, but those in the right place at the right time could get some spectacular video and photos when the seal breaks. Please send your weather photos and videos to EndlessMtnLifestyles@gmail.com.